Large Crayola crayons offer superior quality and provide brilliant, even colors for all art needs. Each crayon measures 4" long x 7/16" diameter. Provides bright colors, smooth laydown and easy blending, and are easier for young children to hold. Crayons are permanent, waterproof and certified AP nontoxic, conforming to ASTM D-4236. 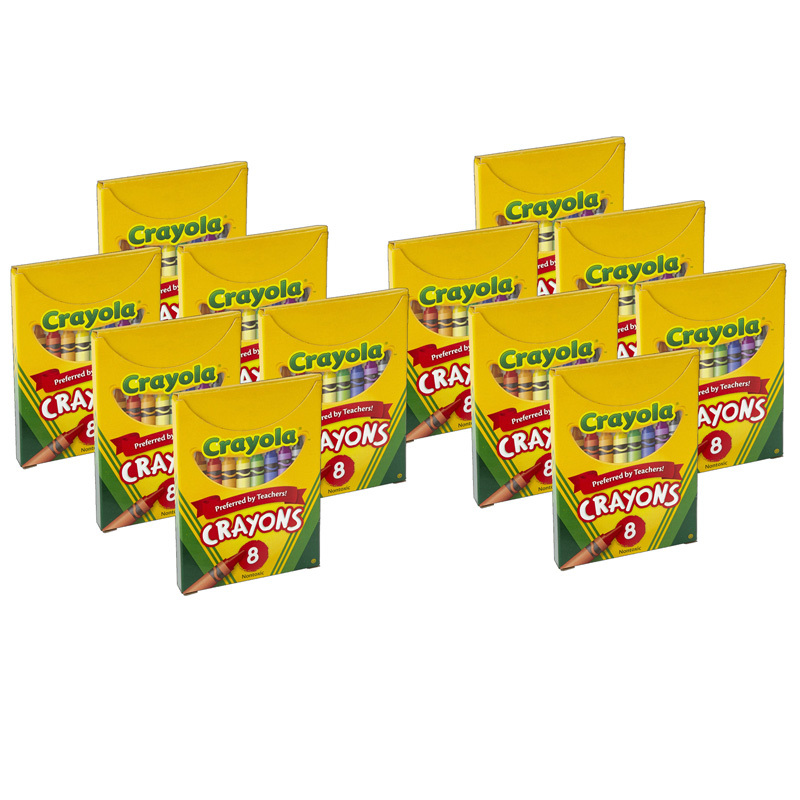 Each box includes 8 crayons in assorted colors. 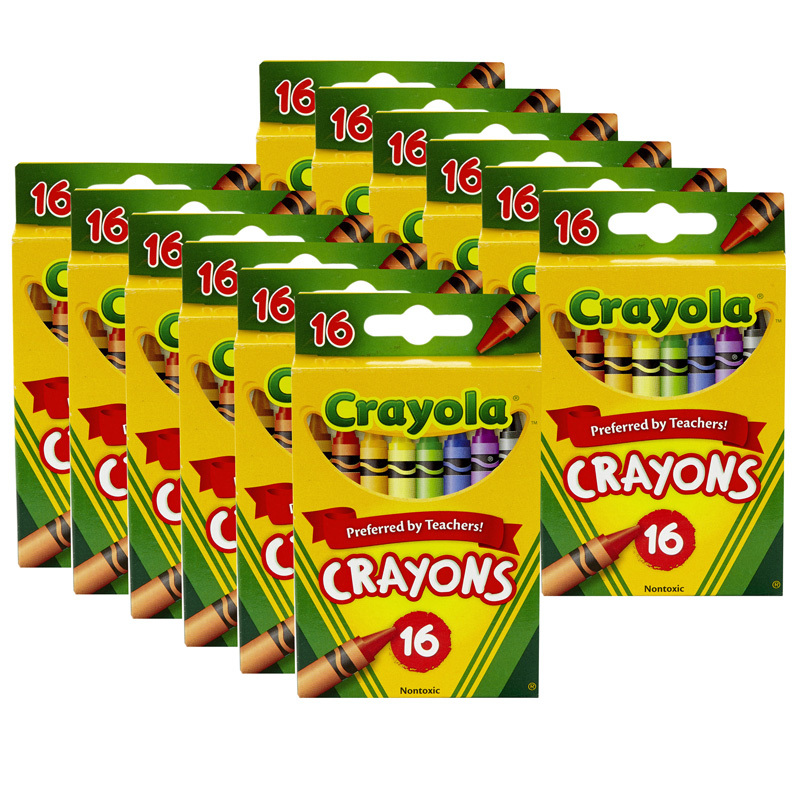 Sold as 12 boxes for a total of 96 crayons. 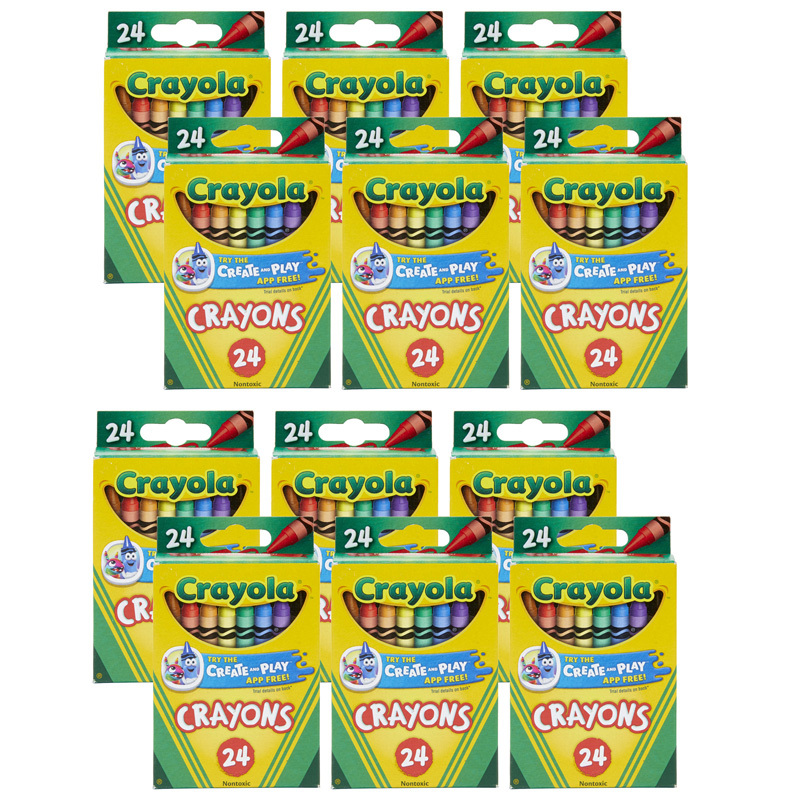 The (12 Bx) Crayola Large Size Tuck Box8ct Per Bx can be found in our Crayons product category within the Arts & Crafts.